The dysfunction in Jacob's family continues. To the list of favoritism, jealousy, boasting, and hatred, today we can add craftiness (deceit). Jacob's deceitful gene had not skipped his sons. By selling Joseph not only did they rid themselves of an annoying, boastful tattletale brother, but they did it without human blood on their hands and made a little coin to boot. 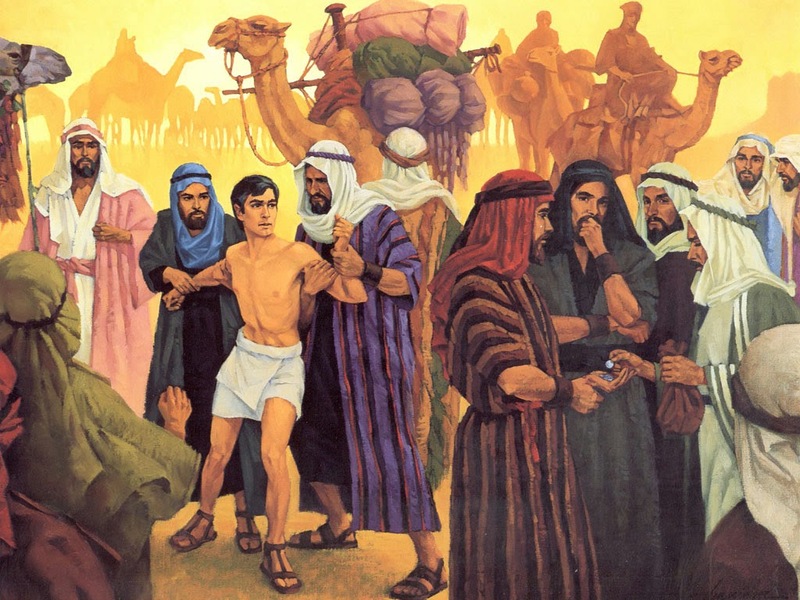 Lying to Jacob by implying that Joseph had been killed by an animal absolved them of all blame. Craftiness runs through the Bible. The first cunning creature was the serpent (and we know who was embodied in that crafty creature) - Genesis 3:1. Jacob, the father of these sons, had tricked his twin brother Esau out of his birthright and blessing (Genesis 27:16, 35). When Joshua began conquering Canaan, the Gibeonites, a neighbouring tribe, tricked him into signing a peace treaty with them (Joshua 9:1-27). The chief priests, scribes and elders "… plotted to take Jesus by trickery and kill Him" - Matthew 26:4; Luke 20:23. However, Jesus was not take in by the attempts of the religious leaders to trick Him into saying something that would get Him in trouble with the Romans (Luke 20:23). In Paul's letter to the Christians in Ephesus, he explains that one of the reasons for gifts in the church is to grow Christians to maturity so they will no longer "… be children, tossed to and fro and carried about with every wind of doctrine and by trickery of men, in the cunning craftiness of deceitful plotting" - Ephesians 4:14 (emphasis added. Though the craftiness of Jacob's sons may fascinate us, the scriptures above alert us to its satanic origin. Let's be aware of who sows crafty thoughts and tendencies within us. Instead of crafty, let's aim to be the kind of person Jesus described to His disciples: "Behold, I send you out as sheep in the midst of wolves. Therefore be wise as serpents, harmless as doves" - Matthew 10:16. PRAYER: Dear God, please help me to be alert to crafty tendencies within me and the fact that they are a form of deceit and lying. Amen.